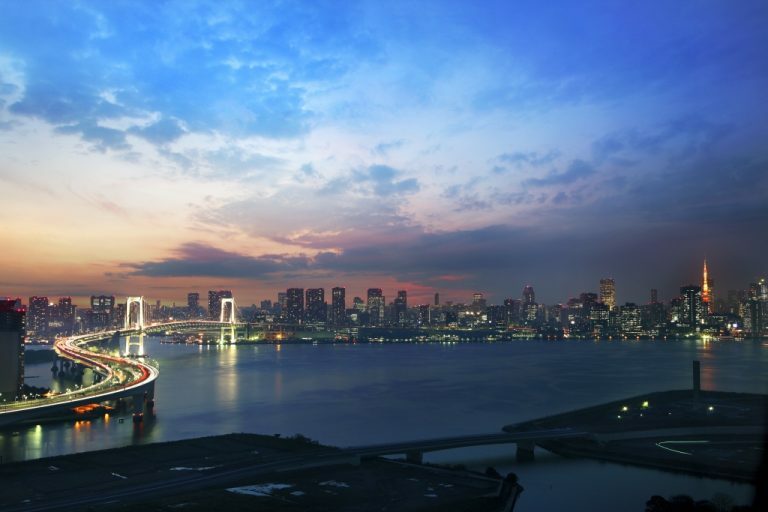 As Japan’s capital city, Tokyo earns high remarks among organisers of global business meetings when it comes to quality of service and high-level of organisation. 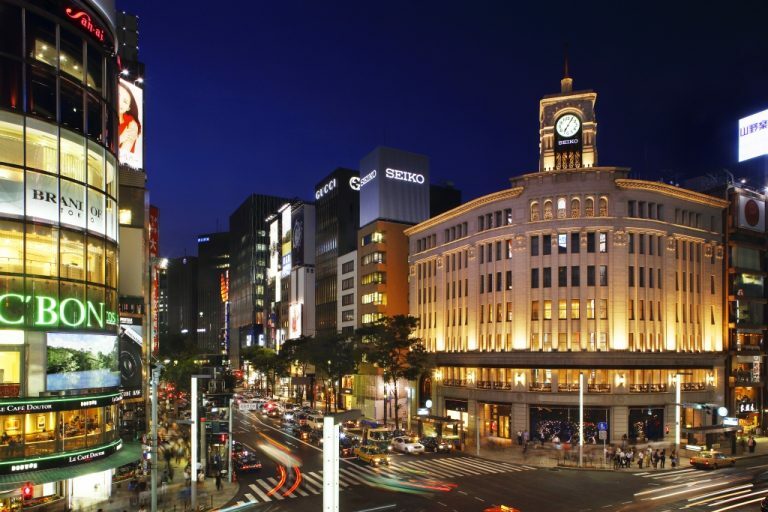 Visiting Tokyo is an exciting adventure, full of beautiful and impressive architecture, such as neon-lit skyscrapers and traditional temples. With over 35 million people living in the greater Tokyo area, the city is run smoothly with its organised, modern transport network. Tokyo is a metropolis like no other. It represents a vital crossroad where 400 years of history and tradition meet innovation. From historical spots like Asakusa, Meiji Shrine, and the Imperial Palace, to the newest icon of TOKYO SKYTREE Ⓡ. The City offers excitement beyond expectations. As well as bustling city life, Tokyo is home to green mountains, rushing rivers and seaside spots not far from the city. Visitors and delegates can make the most of more than 100,000 restaurants in Tokyo, where the city proudly holds the most Michelin stars in the world. The quality and wide variety of world cuisines available – including authentic Japanese dishes – will make each dinner a memorable one. Explore the city by venturing into the yokocho alleys, where you will find quirky shops lining the small streets, ranging from authentic street food to bars, clothes shops and grocers. 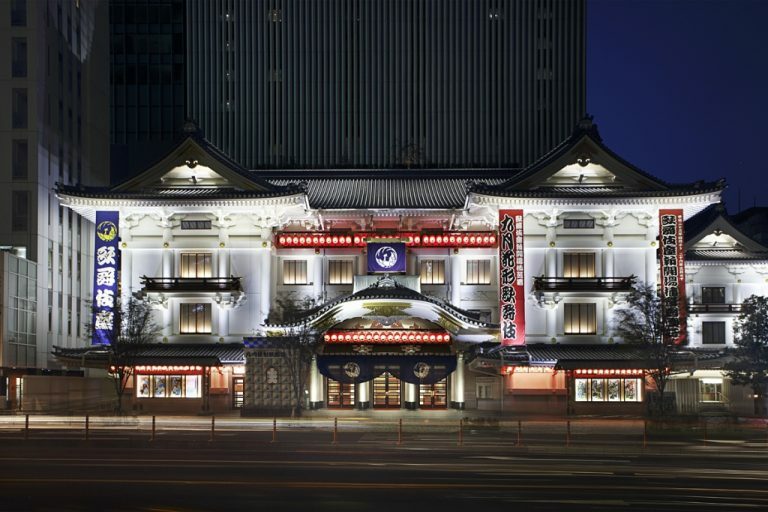 Visitors can celebrate Bon Odori, a summer music festival cherished by the Japanese. In winter, the Tokyo Experimental Festival takes place, which features two months of art and sound performance events. 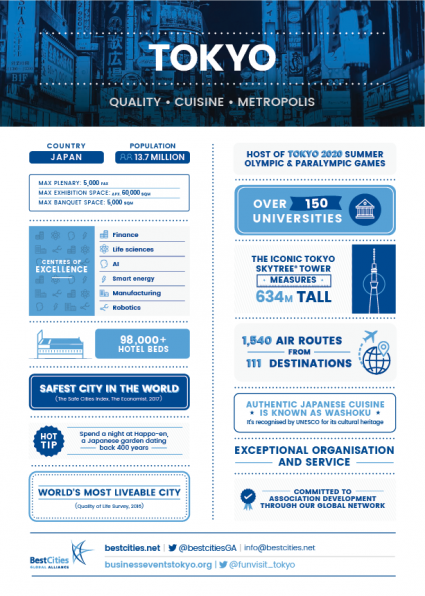 Learn more about Tokyo’s events. Click here to download images of Tokyo.